Alice Halicka came from a family of doctors and studied painting with Josef Pankiewicz at the School of Fine Arts in Krakow. She stayed in Munich for a short period before arriving in Paris in 1912. 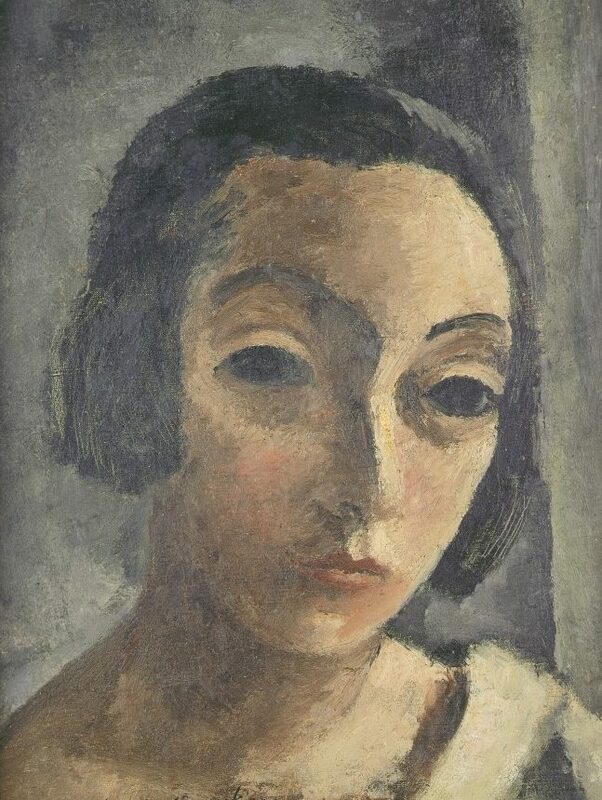 She studied under Paul Sérusier and Maurice Denis at the Académie Ranson and met Louis Marcoussis, who she married in 1913. The latter introduced her to the group of Cubists, and Alice Halicka formed part of the movement until 1921. In 1914, at the Salon des Indépendants, Guillaume Appollinaire noticed her still lifes, which were reminiscent of Cubism. Thanks to Raoul Dufy, in 1919, she worked for Bianchini Férier, a famous silk manufacturer from Lyon. In 1921, following a trip to Poland, she gave up Cubism for good. 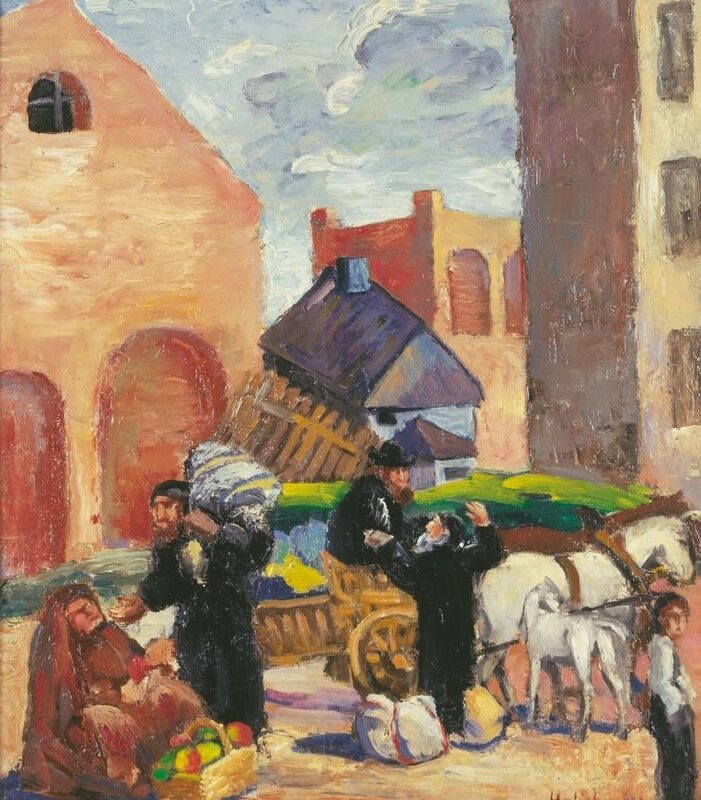 She went back to the Polish post-Impressionist school and painted the everyday life of people in Krakow’s Jewish quarter Kazimierz. In 1925, Alice Halicka illustrated several books, including Valery Larbaud’s Enfantines and Zangwill’s Enfants du Ghetto. Dr Barnes and Gertrude Stein had collected her work since it was exhibited at the Georges Petit gallery in 1931. Between 1935 and 1937, Alice Halicka traveled to New York three times, where she carried out an advertisement for Helena Rubinstein (1935). She also designed the sets and costumes for Stravinsky’s ballet The Fairy’s Kiss, which was performed at the Metropolitan Opera House in 1937, with choreography by Balanchine. In 1938, she took refuge in the Allier department in France with Louis Marcoussis. The latter died in Cusset near Vichy in 1941. Alice Halicka returned to Paris in 1945 and published her autobiographical novel Hier (Yesterday). She also wrote the column “A l’ombre du Bateau-Lavoir” (In the Shadow of the Bateau-Lavoir) for Les Nouvelles littéraires. During the last twenty years of her life, she traveled widely, notably to India in 1952, Poland in 1956, and Russia in 1960. She exhibited her work in France and abroad. Alice Halicka died in Paris in 1975 and is buried near Vichy.